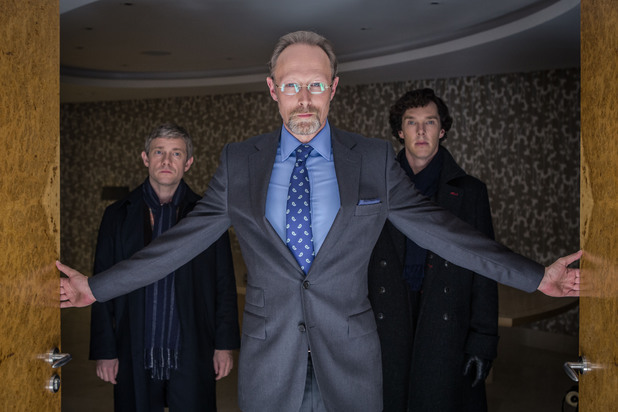 Sherlock’s ‘Last Vow’ For Now | Wait! What's A Dial? Since John decides whatever happened in Mary’s past doesn’t matter, we never find out the full extent of Mary’s past life. However, Mary’s real name isn’t Mary, she probably isn’t British, she worked as an assassin, and was employed by the CIA at one point. While love can conquer all, it’s amazing that John isn’t the least bit curious about Mary Watson’s past. He has decided to trust a woman, who was desperate enough to protect her past that she was willing to murder anyone with the ability to reveal it and in the process shot Sherlock. Then again, everyone knows John is addicted to the lifestyle he shares with Sherlock and his wife, so maybe it should have been expected. Between Sherlock and Mary chasing Magnussen and Mycroft trying to stop them, it’s surprising that the gang was able to celebrate Christmas with the Holmes’ (played by Benedict Cumberbatch’s real parents). The Holmes’ usually don’t celebrate Christmas, but decided to because Sherlock was shot and hospitalized. Sherlock and Mycroft wish their parents hadn’t made the effort. The boys really are the only people in the world who understand each other. Their parents are a perfectly normal English couple, who insist on calling their eldest son Mike because they admit that the names Sherlock and Mycroft are a bit grand. Although, Mycroft points out, “‘Mycroft’ is the name you gave me, if you could possibly struggle all the way to the end.” The brothers need each other, even if it is only to survive Christmas and use each other when it becomes necessary. At his parents house, Sherlock drugs everyone, except John. He does this so he can easily steal Mycroft’s laptop, which stores state secrets, and can give it to Magnussen in exchange for the documents he has on Mary. This is when Sherlock finds out that Appledore doesn’t contain an archive. The archive only exists in Magnussen’s mind. As a result, Sherlock could be arrested for high treason and still have Mary’s secrets revealed. When the British security service arrives, Sherlock sees no other option but to kill Magnussen. For the first time in his life, Sherlock is a murderer. While Magnussen was despicable, Sherlock brought everything on himself. He shouldn’t have stolen Mycroft’s laptop. Despite Sherlock stealing government property that he is responsible for, Mycroft prevents Sherlock from going through a trial. Instead, he has Sherlock assigned to a mission in Eastern Europe. However, Sherlock never makes it there. 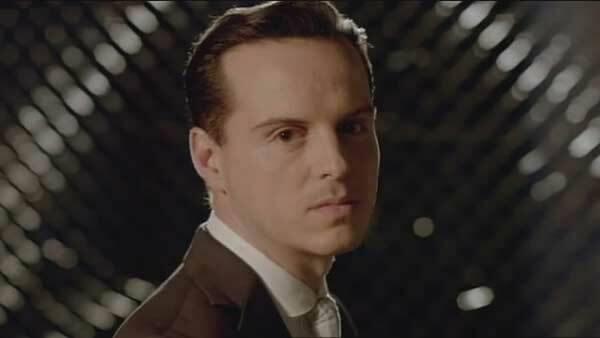 The British government needs him at home because Moriarty is back. No one saw that coming. I have mixed feelings on it. Andrew Scott is a brilliant actor and I want to watch him as much as possible, but Moriarty has been out of the picture for a while. His time came and went. Bringing him back seems a little forced. The man was dead. We were convinced he was dead. Now, we find out he pulled a Sherlock and faked his death. I’m not buying it. What is John going to think? Sherlock and Moriarty are actually friends and he keeps getting sucked into Sherlock’s lies. It’s not the truth, but it’s not like Sherlock is always honest. Regardless of whatever happens in series 4, it’s going to be another wild ride. Hopefully, we’ll find out more about Mary’s past and Mycroft will continue having a larger role in Sherlock’s life. Having more characters is making an already exciting show even more interesting. Posted on February 4, 2014, in BBC, British Television, PBS, Primetime and tagged BBC, Charles Augustus Magnussen, john watson, mary watson, masterpiece mystery, moriarty, mycroft, sherlock, sherlock holmes. Bookmark the permalink. Leave a comment.